Synopsis: My paper concerns the recent uses of the term "honor killing" in the newspapers in India. 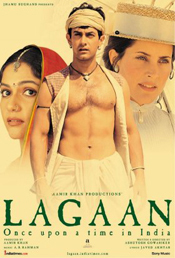 I examine how and why such a term emerges in the context of transnational media in India and the implications of this for feminist media research. Professor Inderpal Grewal is Professor of Women’s, Gender, and Sexuality Studies at Yale University. She is the author of among others Home and Harem: Nation, Gender, Empire and the Cultures of Travel (1996) and has written and edited (with Caren Kaplan) Gender in a Transnational World: Introduction to Women’s Studies (2001, 2005) and Scattered Hegemonies: Postmodernity and Transnational: Feminist Practices (1994). Currently she is working on a book length project on the relation between feminist practices and security discourses. launches its 2nd postcolonial film series with a selection of films that draw on a variety of different contexts in our postcolonial world. 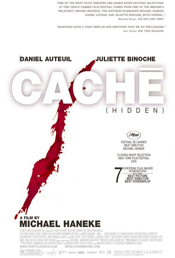 Each film will be introduced briefly by scholars connected to the PCI. This collection of essays foregrounds the work of filmmakers in theorizing and comparing postcolonial conditions, recasting debates in both cinema and postcolonial studies. 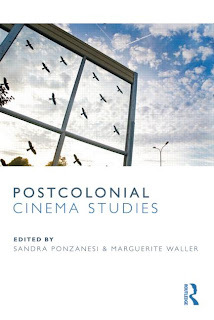 Postcolonial cinema is presented, not as a rigid category, but as an optic through which to address questions of postcolonial historiography, geography, subjectivity, and epistemology. Current circumstances of migration and immigration, militarization, economic exploitation, racial and religious conflict, enactments of citizenship, and cultural self-representation have deep roots in colonial/postcolonial/neocolonial histories. Contributors deeply engage the tense asymmetries bequeathed to the contemporary world by the multiple,diverse, and overlapping histories of European, Soviet, U.S., and multi-national imperial ventures. 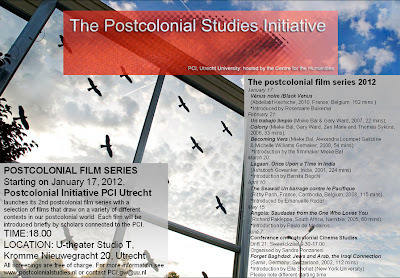 With interdisciplinary expertise, they discover and explore the conceptual temporalities and spatialities of postcoloniality, with an emphasis on the politics of form, the ‘postcolonial aesthetics’ through which filmmakers challenge themselves and their viewers to move beyond national and imperial imaginaries. Sandra Ponzanesi is Associate Professor of Gender and Postcolonial Critique, department of Media and Culture Studies/Gender Programme at Utrecht University, the Netherlands. 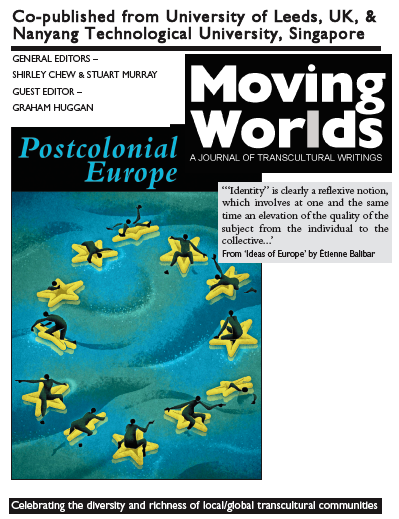 Among her publications are Paradoxes of Post-colonial Culture (2004), Migrant Cartographies (2005) and Deconstructing Europe: Postcolonial Perspectives (Routledge, 2011). Marguerite Waller is Professor of Women's Studies and Comparative Literature at the University of California, Riverside. 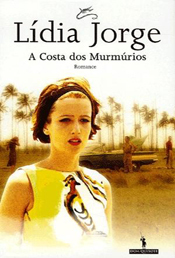 Among her publications are Frontline Feminisms (Routledge, 2001), Federico Fellini (2002), Dialogue and Difference: Feminisms Challenge Globalization (2005), and The Wages of Empire (2007). Contributors include: Jude G. Akudinobi, Kanika Batra, Ruth Ben-Ghiat, Shohini Chaudhuri, Julie F. Codell, Sabine Doran, Hamish Ford, Claudia Hoffmann, Anikó Imre, Priya Jaikumar, Mariam B. Lam, Paulo de Medeiros, Sandra Ponzanesi, Richard Rice, Mireille Rosello and Marguerite Waller. This book engages with the question of what makes Europe postcolonial and how memory, whiteness and religion figure in representations and manifestations of European ‘identity’ and self-perception. 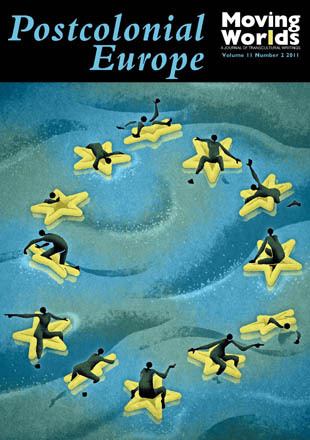 To deconstruct Europe is necessary as its definition is now contested more than ever, both internally (through the proliferation of ethnic, religious, regional differences) and externally (Europe expanding its boundaries but closing its borders). This edited volume explores a number of theoretical discussions on the meaning of Europe and proposes analyzing some of the deeds committed, both today and in the past, in the name of Europe by foregrounding a postcolonial approach. 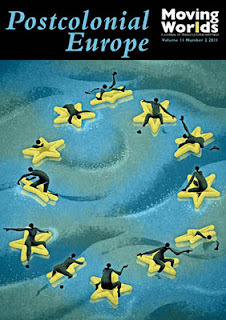 To deconstruct Europe as a postcolonial place does not imply that Europe’s imperial past is over, but on the contrary that Europe’s idea of self, and of its polity, is still struggling with the continuing hold of colonialist and imperialist attitudes. The objective of this volume is to account for historical legacies which have been denied, forgotten or silenced, such as the histories of minor and peripheral colonialisms (Nordic colonialisms or Austrian, Spanish and Italian colonialism) and to account for the realities of geographical margins within Europe, such as the Mediterranean and the Eastern border while tracing alternative models for solidarity and conviviality. The chapters deal with social and political formations as well as cultural and artistic practices drawing from different disciplinary backgrounds and methodological traditions. As such it creates an innovative space for comparative and cross-disciplinary exchanges. Sandra Ponzanesi is Associate Professor of Gender and Postcolonial Critique in the Department of Media and Culture Studies/Gender Programme at Utrecht University, the Netherlands. Among her publications are Paradoxes of Postcolonial Culture (2004), Migrant Cartographies (2005) and Postcolonial Cinema Studies (2011). Bolette B. Blaagaard is Research fellow at the Centre for Law, Justice and Journalism at City University London, UK. She has published articles and contributed to edited volumes on issues of Nordic colonialism and whiteness in the Nordic region as well as the ethics of journalistic practices, objectivity and freedom of speech. The papers included in the issue were presented at the Leeds workshop ‘Europe and the Rest. A Dialogue between Etienne Balibar and Zygmunt Bauman’ (May, 2009) and Utrecht conference on the ‘Idea of Europe. Occidentalism, Orientalism, and the idea of a Postcolonial Europe’ (October, 2009). See full call for papers attached. The rapid development of digital technologies has radically transformed ways of keeping in touch with home cultures and diasporic networks. Moreover, the notion of migration has undergone significant shifts, coming to signify imaginaries on the move which are not necessarily linked to geographical displacement. The aim of this conference is to address the relationship between migration and digital technologies across national contexts and ethnic belonging. 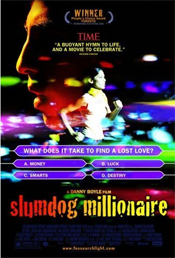 Migrancy embeds many of the local and global paradoxes that also pertain to digital media with their compression of space and time. However, the link between the two fields is still under-theorized and in need of more situated and comparative analysis. Drawing from approaches from the humanities and social sciences (media theory, communication studies, learning sciences, gender studies, cultural studies, postcolonial theory, migration and transnational studies, among others), the primary aim of this conference is to explore how the study of digitalization and migration challenges existing notions of diaspora, identity, nation, family, learning, literacy, social networks, youth, body, gender and ethnicity, asking for new approaches and a rethinking of traditional social and cultural categories. NWO has granted a subsidy for internationalisation to the project ‘Postcolonial Europe Network (PEN).’ The project conducted by Sandra Ponzanesi and Paulo de Medeiros (coordinators of the PCI) aims at establishing an international platform for developing research into new forms of conceptualizing Europe from a multidisciplinary perspective engaging several disciplines (literary, media, gender studies) in the Humanities and the Social Sciences (sociology, political theory). PEN aims to develop theoretical and methodological tools for representing and imagining Europe in a postcolonial and postimperial perspective. research in particular, for imagining models for a European polity. Sandra Ponzanesi (MCW) and Paulo de Medeiros (DMT) work together in this project with other colleagues from Utrecht University and with partners from the University of Leeds (Graham Huggan, John McLeod, Max Silverman), University of Munich (Tobias Doering, Christopher Balme, Robert Stockhammer), London School of Economics (Paul Gilroy and Marsha Henry), University of Roskilde and Iceland (Lars Jensen and Kristín Loftsdóttir) and University of Naples (Iain Chambers). The project starts from 1 September 2011 and last for 3 year. The subsidy is granted by the NWO-programme Internationalisation in the Humanities. November 2011 marks the centenary of a world-historic event.An Italian pilot, Guilio Cavotti dropped the first bombs from an aeroplane on to the oasis of Tagiura outside Tripoli. The development of aerial bombardment was more than just a military revolution. It changed both war and peace. It redrew the legal and moral boundaries between civilians and combatants, spread the theatre of war into new environments and expanded the battlefield, making cities into places of mass death and taking warfare into private, domestic spaces. The conference Shock And Awe: a hundred years of bombing from above will mark this anniversary and explore important elements of the century of bombing that followed the fateful attack on Tegura. This multi-disciplinary event brings together internationally renowned critics, sociologists, geographers, philosophers and historians to reflect on all aspects of a hundred years of bombing from above. It will develop a conversation between very different historical experiences and cases of bombing and establish a cosmopolitan conversation about these difficult issues. assistant professor level, to begin September 1, 2012, pending budgetary and administrative approval. We seek a scholar who can contribute to the department’s graduate track in Culture and Representation, which focuses on the history, politics, and theories of representation as they relate to Middle Eastern cultures within an interdisciplinary framework. The department welcomes candidates from different disciplines in the arts, humanities and social sciences, and from across the broader geography of the Islamic world (interest in Turkey or the Maghrib is desirable). Candidates must have the Ph.D. by the time of appointment, demonstrate potential for superior scholarly accomplishment, and be prepared to teach a wide range of graduate and undergraduate courses and to supervise doctoral dissertation research. Review of applications will begin on November 15, 2011. To apply, see the NYU Department of Middle Eastern and Islamic Studies web site at http://meis.as.nyu.edu/ via the “Employment” link to submit a detailed cover letter describing research and teaching experience, c.v., writing samples, and the names of three referees. NYU is an Equal Opportunity/Affirmative Action Employer. Synopsis: The talk focuses on the "littérature-monde" debate in postcolonial francophone studies. The masterclass will discuss central positions of Emily Apter's new book Against World Literature? The Politics of Untranslatability in Comparative Literature (forthcoming). The book engages in a critique of recent efforts to revive World Literature models of literary studies (Moretti, Casanova, Damrosch, Dimock) arguing that they construct their curricula on the assumption of translatability. As a result, incommensurability and what she calls the “untranslatable” are, according to Apter, insufficiently built into the literary heuristic. Drawing on philosophies of translation developed by Paul de Man, Jacques Derrida, Sam Weber, Barbara Johnson, Abdelfattah Kilito and Edouard Glissant, the aim of the new book is to activate "Untranslatability" as a theoretical fulcrum of Comparative Literature and sound its bearing on approaches to world literature, literary world systems and literary history, and the poetics of translational difference. In the masterclass, students will discuss texts from the new book as well as selected texts from the earlier publication The Translation Zone (2006). In preparation of the master class, students are invited to send in focused questions beforehand. Emily Apter teaches at NYU since 2002, after having taught in French and Comparative Literature at UCLA, Cornell University, UC-Davis, Penn and Williams College. At NYU she teaches in the departments of French, English and Comparative Literature, specializing in courses on French Critical Theory, the History and Theory of Comparative Literature, the problem of "Francophonie," translation studies, French feminism, and nineteenth-and twentieth-century French literature. Recent essays have focused on paradigms of "oneworldedness," the problem of self-property and self-ownership, literary world-systems and the translatability of genres, and how to think about translation as a form of intellectual labor. 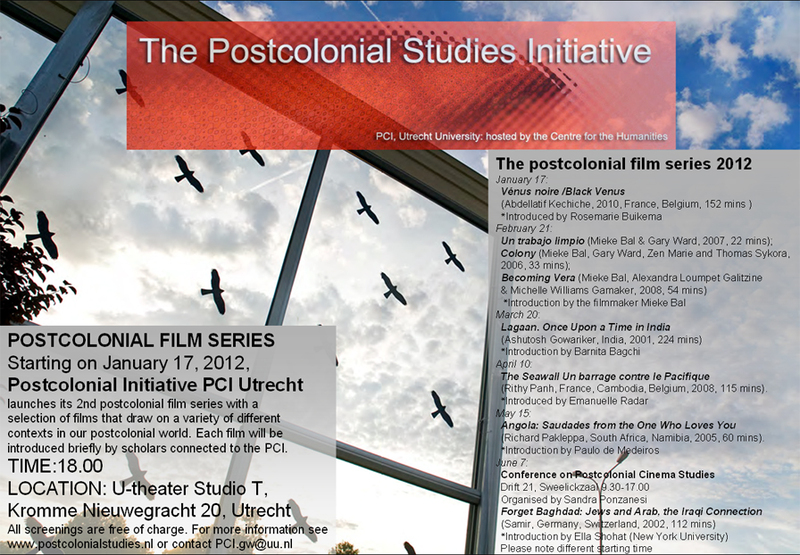 Throughout the academic year a series of six postcolonial films are shown. Each film is introduced by a specialist and at the end of each session there is public discussion. (Introduction by Paulo de Medeiros). Thinking the Mediterranean in a multifold complexity of ‘overlapping territories and intertwined histories’ (Edward Said) encourages a critical journey that abandons the securities of territorial homelands for the open and less guaranteed routes of intercultural travel. 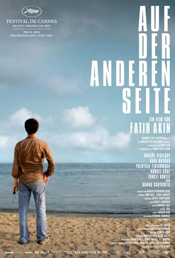 Taking the sea as a composite archive and site of historical and cultural crossings, this talk, further encouraged by the critical affectivities of contemporary literatures, music and the visual arts, will propose some historical and cultural perspectives on a postcolonial Mediterranean. Iain Chambers is presently Professor of Cultural and Postcolonial Studies at the Oriental University in Naples where he has been Director of the Centre for Postcolonial Studies, and presently coordinates the PhD programme in ‘Cultural and Postcolonial Studies of the Anglophone world'. Iain Chambers is internationally known for his interdisciplinary and intercultural work on music, popular and metropolitan cultures. More recently he has transmuted this line of research into a series of postcolonial analyses of the formation of the modern Mediterranean. Professor Chambers has a degree in History and American Studies from Keele University, and subsequently acquired an MA at the Centre for Contemporary Cultural Studies at the University of Birmingham. He has lived in Naples since 1976, and has held visiting professorships at Hunter College (CUNY) in 1990, the University of Oslo in 1992, in Emphasis in Critical Theory, University of California, Irvine in 1995, and at the University of California, Santa Cruz in 2008. He has also been a Rockefeller Fellow at the Center for Cultural Studies, University of California, Santa Cruz in 1994; been invited as Visiting Scholar at the Getty Institute, Los Angeles for the year 1996-7; and been a Humanities Research Institute Fellow at the University of California, Irvine in 1997. He is author of Urban Rhythms: pop music and popular culture (Palgrave Macmillan,1985), Popular Culture: The metropolitan experience (Routledge,1986), Border dialogues: Journeys in postmodernity (Routledge, 1990), Migrancy, culture, identity (Routledge, 1994), Hendrix, hip hop e l'interruzione del pensiero (with Paul Gilroy) (Costa & Nolan, 1995), Culture after humanism (Routledge, 2001); and most recently, Mediterranean Crossings: The Politics of an Interrupted Modernity (Duke University Press, 2008). He is also editor with Lidia Curti of The Post-colonial question: Common skies, divided horizons (Routledge, 1996) and the volume Esercizi di Potere. Gramsci, Said e il postcoloniale (Meltemi, 2006). 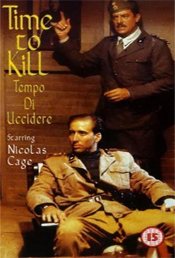 Several of these titles have been translated into various languages, including Italian, Spanish, German, Japanese and Turkish. In addition Professor Chambers has served on the editorial boards of Formations, Popular Music, Cultural Studies, Communal Plural, New Formations, Postcolonial Studies, and Third Text.